Not long ago, the ailing Italian lender looked unlikely to fill its 3 bln euro hole privately. Now it’s secured underwriters. For local worthies that once owned half, it should mean near-total dilution; for other investors it’s a cheap option on a still-elusive Italian recovery. 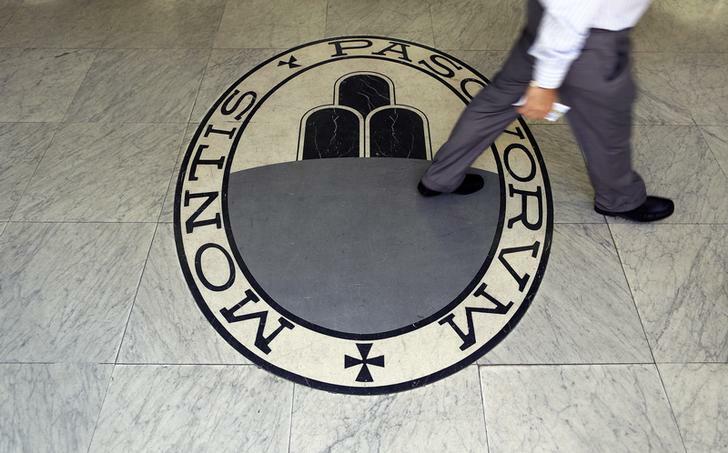 Banca Monte dei Paschi di Siena said on Nov. 26 its board had approved a 3 billion euro capital increase and appointed 10 banks to underwrite the issue. MPS had planned to raise 2.5 billion euros, but is raising an extra 500 million euros to enable it to pay the coupon on its 4 billion euros of so-called “Monti bonds” – Italian state hybrid support. Inability to pay in cash would have meant paying in shares, meaning the Italian state would have owned an equity stake in MPS. UBS will act as global coordinator and bookrunner, with joint bookrunners Citigroup, Mediobanca and Goldman Sachs. Barclays, Bank of America Merrill Lynch, Commerzbank, JPMorgan, Morgan Stanley and Societe Generale will also be joint bookrunners. MPS shares fell 0.05 percent to 0.18 euros in early trading on Nov. 27, after falling 13 percent in the previous two days.